MKM Building Supplies’ branch in Kirkcaldy has been awarded for its ‘Excellence in Community Engagement’ at a regional business awards ceremony. 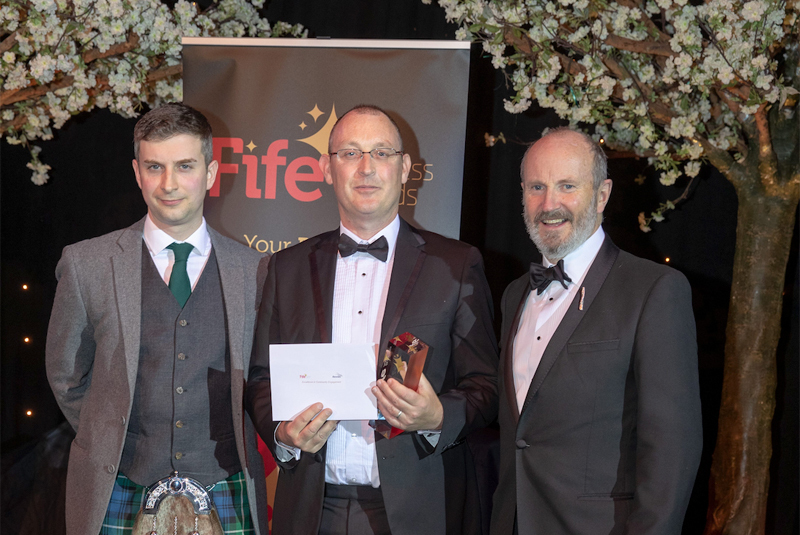 The branch picked up the award at the 2019 Fife Business Awards. The category of Excellence in Community Engagement recognises a business operating in Fife that has ‘demonstrated a partnership with a local community group, or participation in a local community project that has benefited Fife’. The ceremony was held at Rothes Halls, Glenrothes, and saw 12 category winners announced. Judges were said to be impressed by the branch’s ‘commitment to delivering excellence’, acknowledging in particular MKM Kirkcaldy’s voluntary work for the Scottish Poppy Appeal, as well as its support of various other local charities and initiatives. MKM Kirkcaldy stepped in as an area organiser for the Poppyscotland appeal 2017, repeating this gesture in 2018 for the 100th anniversary of the Armistice. Thanks to MKM Kirkcaldy’s efforts, as well as the generous support of local businesses and other volunteers, the poppy appeal in the Kirkcaldy area raised £25,754 in its centenary year, up from £14,000 in 2017. Last year, MKM Kirkcaldy was also acknowledged for its commitment to customer service, picking up the ‘Excellence in Customer Service’ award. The team also took a trip to Westminster having topped a public vote to become the ‘Responsible Business Champion’ for the Kirkcaldy and Cowdenbeath area in May 2018. This was a scheme organised by the All-Party Parliamentary Corporate Responsibility Group.